Seaside has been Oregon’s beachfront playground for more than 100 years. 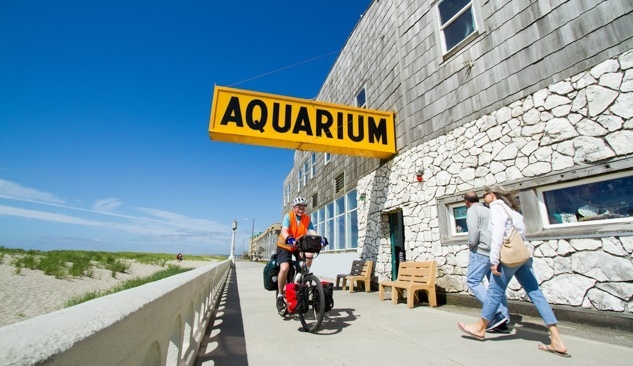 The small city on the North Coast stands out for its super-fun culture and family-friendly adventures, from riding the carousel to flying a kite, biking the beach to kayaking the cove. Seaside is the place for family getaways with awesome escapades, both indoors and out. Nearly a dozen seals live at the Seaside Aquarium, and they’re always hungry for food and attention. This resident family of harbor seals is trained to perform tricks for food, which visitors can deliver. Also cool is the fact that the Seaside Aquarium was founded in 1937, making it one of the oldest aquariums on the West Coast. 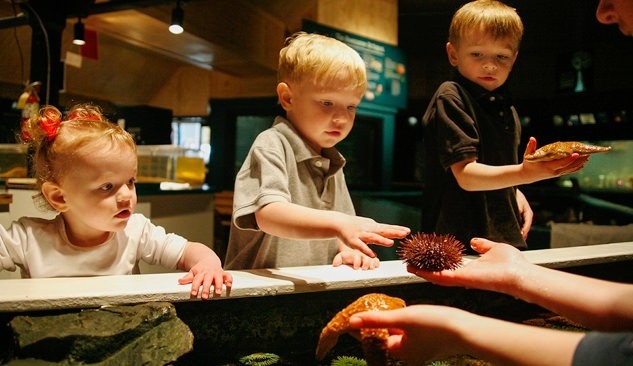 Visit the touch tank and ponder underwater exhibits, home to animals from nudibranchs to wolf eels. Choosing which carousel animal to hop upon might be the toughest decision you make all day. Will it be the rabbit, the giraffe or the big brown bear? All will take you merrily round and round on this lovely replica of a classic carousel, housed in the Seaside Carousel Mall, where you can also try on hats at Seaside Mostly Hats or have some old-time photos taken at Flash From the Past. Will it be a rugged mountain-bike trip into the hills above Seaside, a jaunt along the flat 1.5-mile promenade on a surrey or a ride along the sand on a fat-tire beach bike with the wind in your hair? Visit Wheel Fun Rentals for information and some wheels to get your biking adventure started. You can even rent a pedal boat. Imagine being a tourist in 1880, when reaching Seaside meant taking a boat from Portland to the mouth of the Columbia River, then boarding a train headed south. You’d stay in one of the hotels and cottages that had sprung up to accommodate the tourists in Oregon’s first seashore resort, like the Butterfield Cottage. Today visit the beautifully restored cottage for a glimpse of this long-ago time, then tour the Seaside Historical Society Museum to see a history of local hotels and a diorama of Seaside in 1899. Rent a kayak at Cleanline Surf or Wheel Fun Rentals, and take to the water with your crew and your paddle. Stick to the Necanicum River for easier paddling and the chance to see blue herons, bald eagles or a cheerful family of ducks pass by. For a more adventuresome day, travel through the estuary to the breaking surf of the Pacific Ocean and try your hand at paddling the waves. There’s nothing quite like climbing a steep oceanfront cliff to experience the powerful ocean breeze on your skin and see the crashing waves below. Tillamook Head rises 1,000 feet from the ocean, with jagged capes, rocky islands and Sitka spruce stands providing stunning scenery. The trail travels the entire 7.5-mile length of the Head, so you can choose a long or short jaunt and take in the sights. Wandering through the awesome Seaside Antique Mall in the Old Town District is part window into the past, part quest for the perfect souvenir. Discover Oregon artifacts, historic books, china, jewelry, vintage toys and more, collected by the 88 dealers who do business here. You won’t leave empty-handed! The Cove is Seaside’s secret place to adventure. Located between the sandy beach and the rocky headland, the terrain is more rugged than the beach, harboring small tide pools perfect for the kids to explore. The Cove is also the place to watch some of Seaside’s best surfers catching waves generated by the break off of Tillamook Head. Extend your stay: Book a night at the Inn at Seaside — a great option families with roomy suites, an indoor pool and pet-friendly rooms — or the Hi-Tide Oceanfront Inn, where you can dig your toes in the sand right outside your door.